Human dentin matrix could be considered an excellent alternative to autologous or heterologous bone graft. 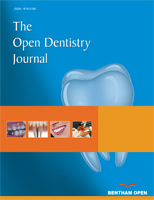 Autologous tooth graft has been proposed since 1967 when the osteoinduction properties of autogenous demineralized dentin matrix were discovered. The preparation technique to transform autologous teeth in suitable grafting material still represents the fundamental step of the whole procedure. The aim of the present study was to test an innovative medical device that could obtain tooth graft materials starting from the whole tooth of the patient. 15 consecutive cases of tooth grafting procedures were performed with a mean follow up period of 18 months. In all cases, after 6 months of healing, the defects were almost completely filled by newly formed hard tissue. The new tissue was examined after 6 months, both from a radiological point of view by CBCT scans and from a clinical observation. It showed a compactness similar to the medium-density bone. No signs of inflammations were observed. No infective complications were recorded during the post-operative healing. No graft particles or grains were visible in the regenerated bone structure that appeared homogeneous and uniform. The results of the present study showed favorable bony healing in guided regenerative surgery procedures using autologous tooth graft. Future studies with long follow up period are needed in order to better evaluate the potential of demineralized dentin autografts. Keywords: Bone regeneration, Tooth graft, Dentin matrix, Oral implantology, Dentin graft, CBCT. © 2019 Minetti et al.